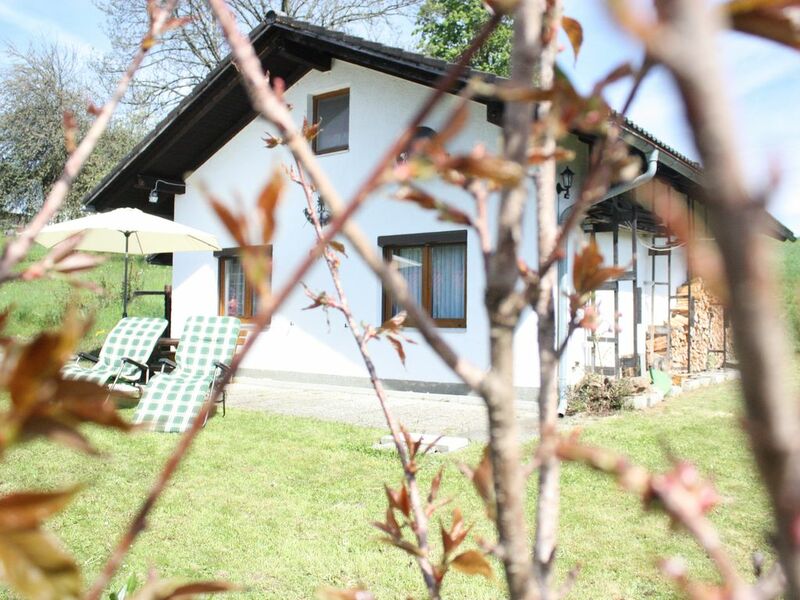 Our little cottage is located in the state-approved recreational Bischofsreut Bavarian Forest at 900m altitude, near the German-Czech border. Our house is very comfortably furnished and offers enough space for 4 people. The house has a separate well equipped kitchen with refrigerator, electric stove, oven and microwave, a living room with fireplace and 2 bedrooms and a bathroom with shower. A garden with garden furniture and a sunbathing area are naturally also available. Sheets and towels are provided. Ideal for hiking and cycling in summer, skiing and hiking in the winter, as well as trips to Passau, Cesky Krumlov or Ceske Budejovice. Many tips for staying you will find in the house. A grocery store, a butcher shop, a bank and numerous restaurants are within easy reach by car or on foot. In a few kilometers you are in Austria or in the Czech Republic and can also enjoy a day out there and the country and people, as well as learn the various places of interest to know. Our small holiday house is located in the state-approved resort Bischofsreut in the Bavarian Forest at about 1.000m altitude, near the German-Czech border. The holiday communities Haidmühle, Bischofsreut and Frauenberg are located in the beautiful Haidel region at the border triangle Bavaria - Bohemia - Austria and offer numerous summer and winter activities. On the website of Haidmühle you will find many information and tips for active recreation, for discovering nature, getting to know the cultural features and numerous family tips. Nature walks have season all year round here. Numerous unforgettable circular hiking trails are at your disposal. A detailed description of the trails can be found on the website of Haidmühle. The description of the hiking trails and numerous maps can also be found in the house. In Bischofsreut and Haidmühle the museum project KulturLandschaftsMuseum (KuLaMU) Grenzerfahrung was started. The museum elements have been preserved in their original places and are linked by museum trails (the Golden Path, the pavement, the Triftsteig, the biodiversity trail, etc.). In winter, the Dreiländereck is a true paradise for cross-country fans. Snow-reliable areas and hundreds of kilometers of freshly groomed trails await cross-country skiers. Alpine skiing in the border triangle in the Bavarian Forest also brings pure winter joy and promises pure winter fun. Numerous ski lifts, ski school for adults and children and ski rental can be reached quickly by car. Especially recommended are the ski center Mitterfirmiansreut and the ski resort Hochficht. Winter hikes and tobogganing as well as guided snowshoe hikes make your winter holiday relaxing and unforgettable. Every year, international sled dog races take place in Haidmühle. A grocery store (Edeka), a butcher, a bank and numerous restaurants are easy to reach by car or on foot.